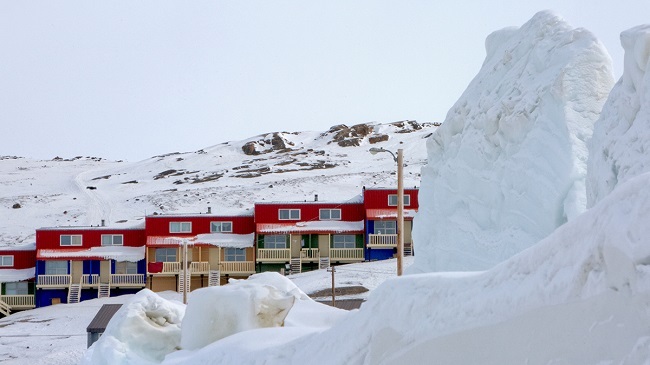 Iqaluit – Nunavut’s Vibrant Capital – The Great Canadian Travel Co.
Iqaluit is unique. We could say this about all of our Arctic destinations for different reasons, but this vibrant city thrums with an eclectic blend of traditional and metropolitan life. 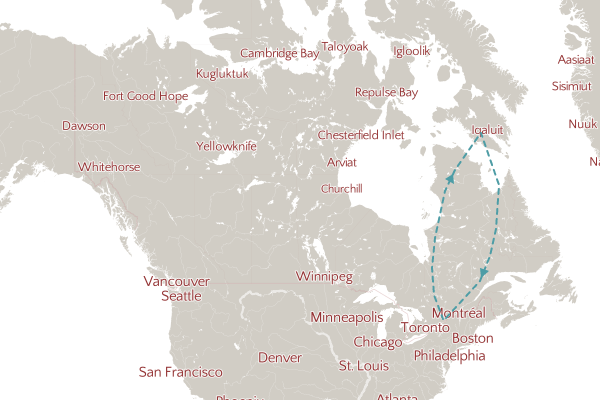 The beginning leg of your trip would be spent enjoying Northern hospitality aboard your flight from Ottawa before landing and getting settled in to your hotel. There’s a lot to look at, and a great place to start to get oriented is the Unikkaarvik Visitors Centre. Here you can rent bicycles, watch Inuit movies, attend weekly events, and of course get lots of great information about Iqaluit! 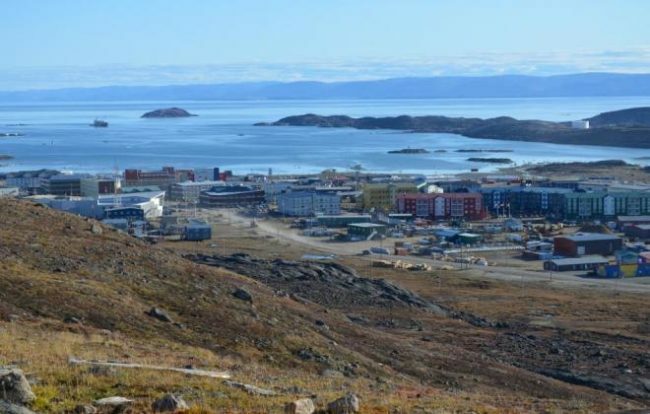 With a population of 7,740 people (2016 census) Iqaluit is Canada’s smallest provincial or territorial capital, but what it lacks in size it more than makes up for in cultural energy. 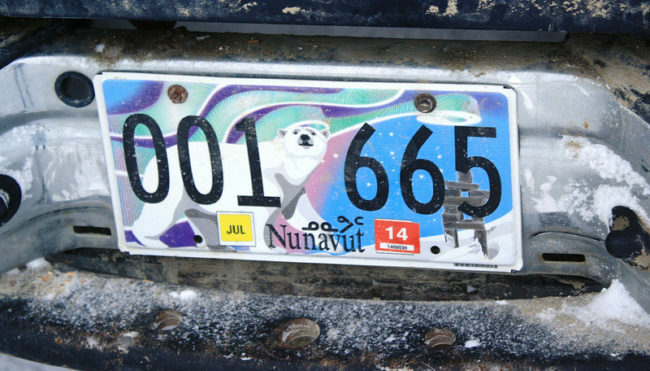 From the Nunavut Legislative Building’s integrated Inuit motifs, to the igloo-shaped Anglican Cathedral, the evident blend of cultures creates an exciting new set of traditions. 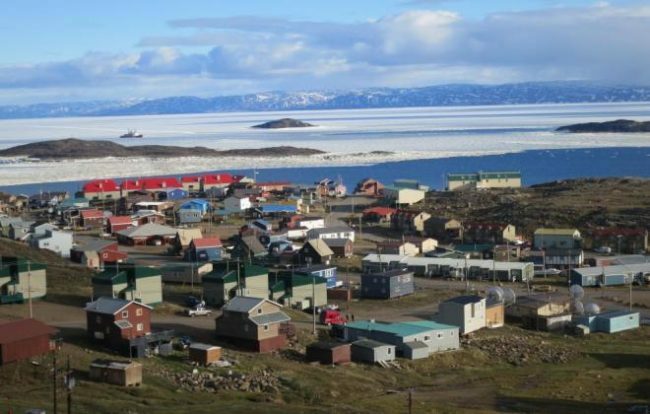 Iqaluit has something for everyone, and is one of the most accessible northern communities with flights direct from Ottawa. The city has all a great collection of cultural activities and museums, a lively arts scene, comfortable hotels, tasty restaurants and hip cafes, not to mention an array of outdoor activities, boat trips, hiking opportunities, and parks to visit. In summer there are chances to kayak, river raft, camp, and berry pick, while winter is popular for cross country skiing and tobogganing. As the capital of Nunavut it has the most to offer in terms of shops, services and museums of any of the Arctic communities we visit. However, that doesn’t stop the community here being well-connected to their lands. Year round you’ll find locals practicing traditional methods of hunting, fishing, and trapping. 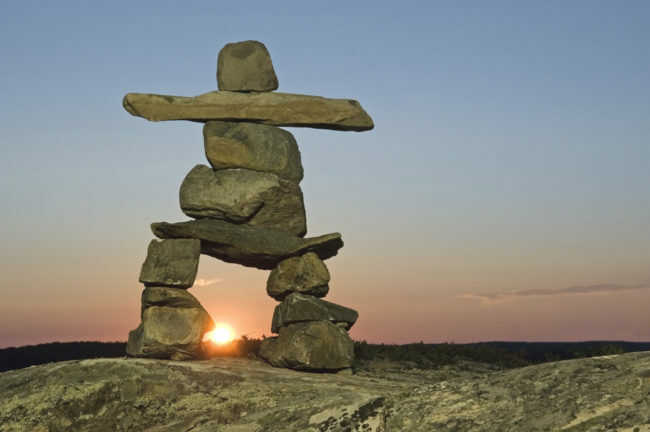 Since the arrival of Europeans in the Canadian Arctic, Inuit have found work as excellent guides and leaders, and that tradition continues today. You’ll find outdoor pursuits, interpretive information, and exploration easy and accessible here in Iqaluit. Our Touch of the Arctic: Iqaluit – Nunavut’s Vibrant Capital program is designed to get you started on your northern adventure. It’s a framework to which we can add anything and everything you need to make your vacation truly yours. Whether you’re travelling for a long weekend or for a week-long vacation with your family, Iqaluit will keep you occupied. Give us a call and we’ll be able to help you structure your trip to make best use of the time and resources you have. Today you’ll take part in a tour of the community with an expert local guide. There’s no better way to gain perspective about a community and area than from someone who not only lives there, but also loves and cares for their surroundings. 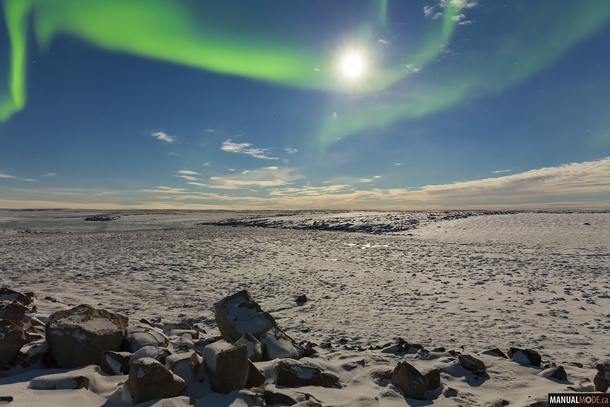 The guides revel in showing you their favourite spots, taking you to the best places for spectacular views, and introducing you to the extensive history of Iqaluit’s land. Depending on the season there is a variety of interesting optional tours you can choose to add-in to your program. Year round you can do an Elder Home Visit and hear local stories and history of Inuit culture. In winter you’ll have the option to go dog sledding or take a ride in a qamutik (traditional Inuit sled); go outside of the city away from the lights to hunt for the Aurora Borealis or go snowmobiling. Snowmobile excursions are an awesome way to get a taste for this expansive land. Are you a fisherman? In that case you’ll already know that ice fishing is an interesting way to fish, for beginners and experts alike, and it can provide delicious rewards. Learn from the best and enjoy your own fresh-caught Arctic Char. In late spring/early summer you can experience the incredible floe edge, as the ice breaks up, receding towards the shoreline. Many land and sea creatures can be seen at this special time of year. 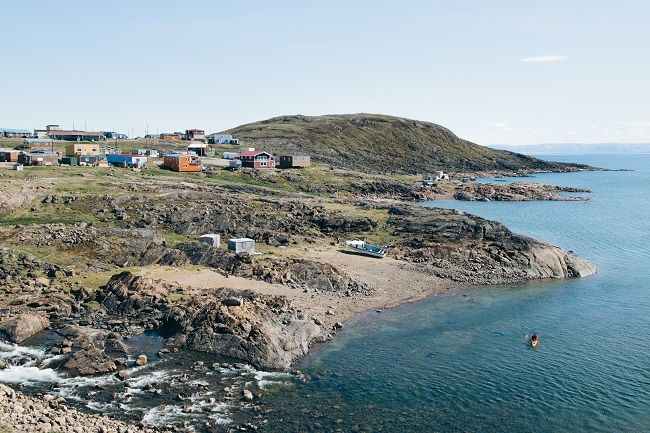 In summer, step outside of the city (which is not a big step in Iqaluit!) with a boat tour on Frobisher Bay. The Arctic is home to an incredible diversity of wildlife, so keep your eyes open for hundreds of bird species, seals, and maybe even whales. A boat tour wouldn’t be complete without a visit to Qaummaarviit Park (Qaummaarviit means ‘the place that shines’) where colourful heath tundra stretches down to a rocky coastline, rich in archaeological artifacts. Check out ancient Thule sites, and maybe meet some local families who still use the area for hunting, fishing, and gathering. 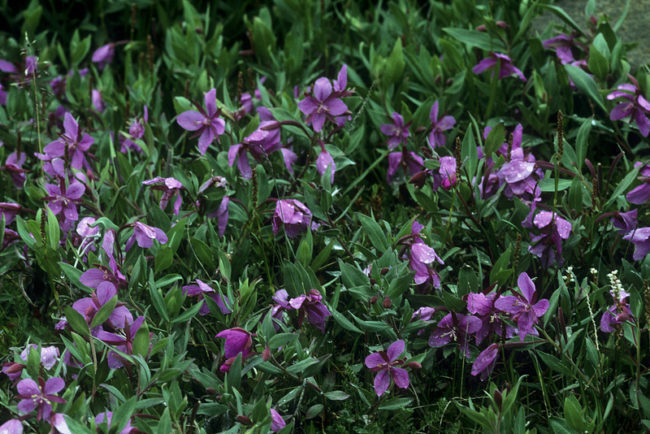 Go fishing for Arctic char, take a hiking tour out into the surrounding countryside or try your hand at driving an ATV. 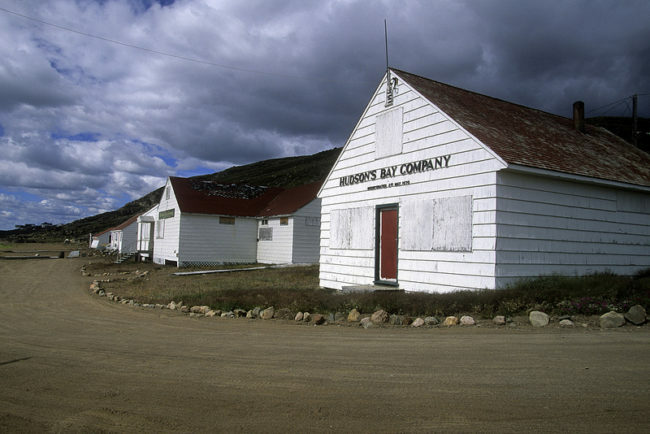 Local outfitters will take you out to some of the historical sites, or you can even extend the trip to spend a night in the Inuit hamlet of Kimmirut, only a short flight to the south of Iqaluit. In the summer the weather is cool, but usually bright, and the sun is up for almost twenty-four hours! No matter what the season our experienced, licensed local guides and outfitters will customize a program to fit your needs and interests. Your last chance to look around town or take a half day tour this morning before heading to the airport for your flight back to Ottawa. Information posted on our website is correct at the time of publication, however trip details are subject to change without notice by the suppliers and operators involved. We update the information as soon as possible when changes are advised to us, however, we cannot assume responsibility for such changes made by the suppliers and operators.